New York, c. 1990. 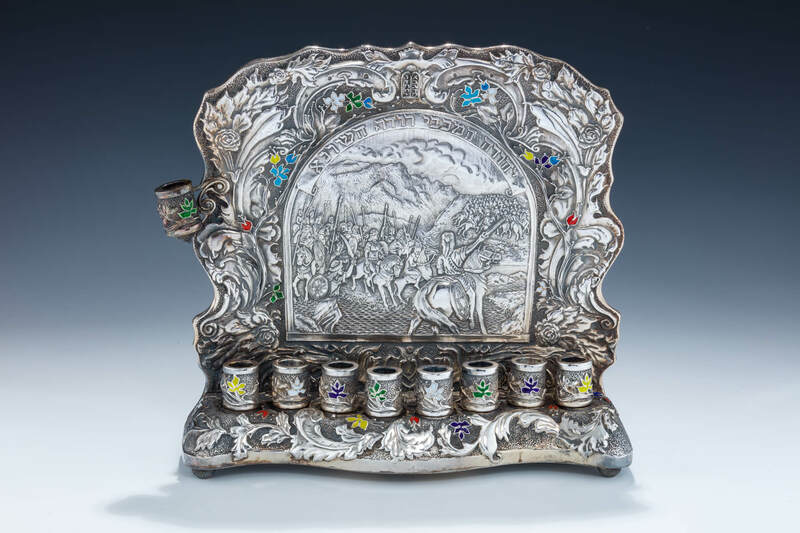 The center scene decorated with a scene from the maccabee story. 9.3” x 9.7”.